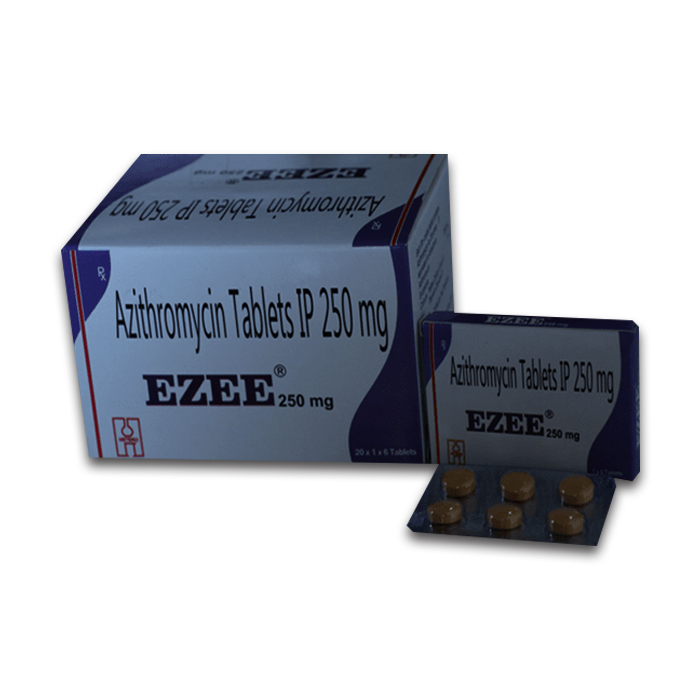 EZEE tablet contains Azithromycin. Azithromycin belongs to the class of drugs known as macrolide antibiotics. Available in two strengths 250 mg & 500 mg Indicated for Acute Bacterial Exacerbations of Chronic Obstructive Pulmonary Disease, Acute Otitis Media, Genital Ulcer Disease, Acute Bacterial Sinusitis, Community-Acquired Pneumonia, Uncomplicated Skin/Skin Structure Infections.